We're excited to have CBeebies on site today to film an episode of the popular Down On The Farm series. 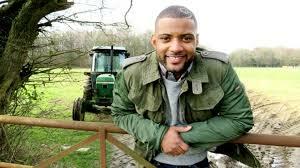 Presented by JB, of JLS fame, the team from CBeebies will be finding all about how onions are grown, stored and packed. Unfortunately the weather isn't quite good enough to be out int he field harvesting today but there's plenty to see at the factory with onion stores, our NIR grader which can look inside the onions to determine if they are rotten or not, and our pack house, preparing onions for shipment to the supermarkets.